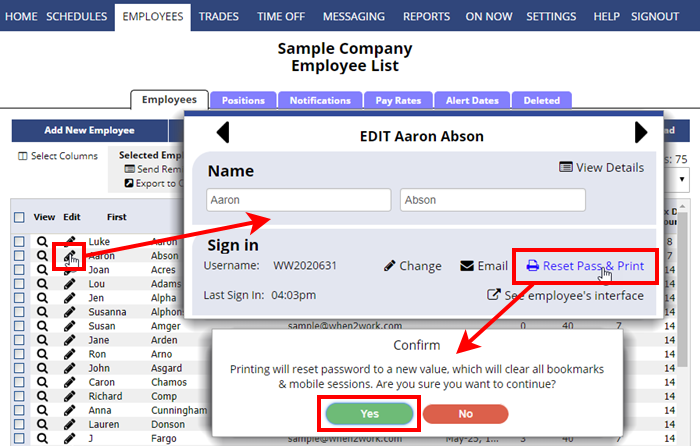 All employees you add at WhenToWork are automatically assigned a unique temporary username and password. 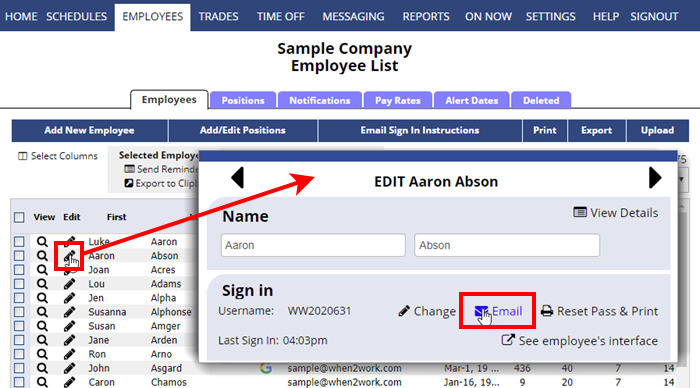 To inform employees about their username and password and where to sign in, you can either print sign in instructions for them, or have the instructions sent to them by email (either send to all employees who have not yet signed in or to an individual employee). The first time an employee signs in, they are taken through a “welcome wizard” that helps them choose their new username and password and other account settings.